India is free of Polio and so is 99% of the World. In 1988, when the Global Polio Eradication Initiative was formed, polio paralysed more than 350,000 people a year. Since that time, polio case numbers have decreased by more than 99%. 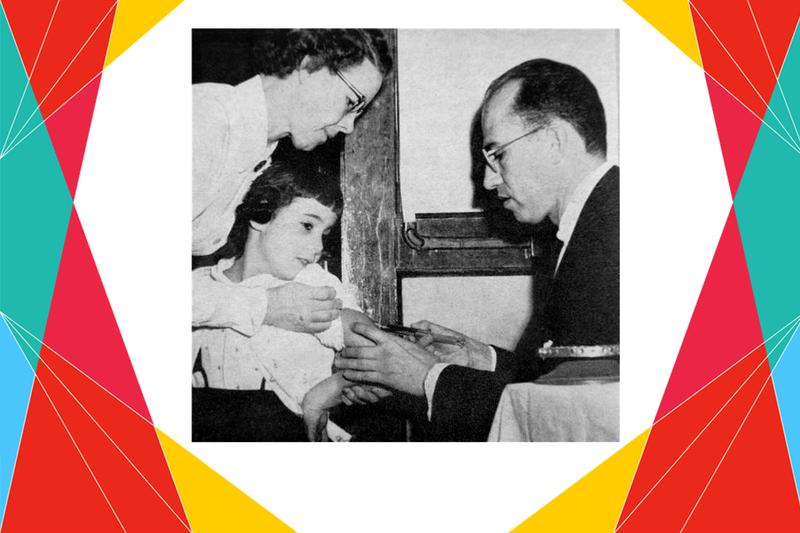 Thanks to Jonas Salk, who developed the world’s first safe and effective polio vaccine. He announced it before the world today in 1953. Major polio epidemics started appearing in the late nineteenth century in both Europe and North America, and soon enough, became one of the most dreaded childhood diseases of the twentieth century. By 1952, a year before Salk’s announcement, polio was killing the most children over any other communicable disease. Until Salk’s vaccine was released, there was no viable cure or vaccine to combat polio. The polio virus attacks the nervous system of victims, causing various degrees of paralysis. There are just 2 countries Afghanistan and Pakistan which have never stopped transmission of polio. Polio can spread from these 'endemic' countries to infect children in other countries with less-than-adequate vaccination. Unlike most diseases, polio can be completely eradicated. Cheap and effective vaccines are available to prevent polio. • On 13 January 2012, India surpassed one year without detecting a single case of wild poliovirus. • India’s last case was reported in West Bengal. The victim, an 18-month-old girl named Rukhsar from Howrah district, was infected with type-1 poliovirus. • India had traditionally been considered one of the toughest places in the world to eradicate polio. In 2009, India reported 741 polio cases, more than any other country in the world. In 2010, India reported just 42 cases out of 1,352 cases reported globally. “Well, the people, I would say.